I am so excited about Mothers Day this weekend. Not because of the breakfast in bed (that I will not be receiving, LOL) or about my gorgeous gift my son has purchased with his own money from the Mothers Day Stall at school (I will share some of the gifts I have received in the past over the weekend). 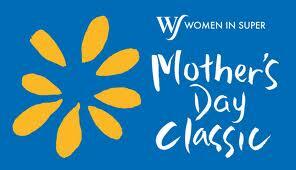 I will be spending my Mothers Day morning doing a 4km walk, in the Mothers Day Classic. http://mothersdayclassic.com.au/ The Mothers Day Classic has become a bit of a tradition in my family. My whole family participates, including my mum, we all walk together. I have friends who also go with their families, mothers, sisters, grandmothers, children (and the odd father and husband too). It's a really fun morning, a wonderful way to spend mothers day together, walking in the sunshine (please don't rain on Sunday), alongside the beautiful beach. Unfortunately I missed the walk last year as I had torn the artery in my neck a couple of days before, so was not able to exercise, or do very much at all actually. After the walk we all head out for breakfast, my family, my friends and their families. Anybody who decides not to walk (like me last year) meets us at the restaurant for breakfast after the walk. The Mothers Day Classic is a great cause, its actually the biggest community fundraiser for breast cancer research in Australia. Walks/Runs happen at the same time right across the country and always on Mothers Day. There are walks in every major city in Australia and in over 28 regional towns across the country. Grandmothers, Mothers, Daughters, Fathers, Grandfathers, Sons, Aunts, Uncles all walking together for a very important cause. Babies and toddlers being pushed in prams, people being pushed in wheelchairs you name it, they are participating too. More than $7.8 million has been raised from this walk/run for breast cancer foundation since the even started years ago. It's also very touching and emotional too. You get a number to pin to your top and on that is a space for you to write the name of a person or people you are dedicating your walk to or the person you are walking for. People write loved ones or friends battling breast cancer or those who lost their battle with breast cancer. It's a very moving walk as you walk around, seeing the names of those that have had this walk dedicated to by their loved one or friend. It is a wonderful community event and something that I can highly recommend to anybody who has not heard of it before. It sounds like you will celebrate Mothers Day in a wonderful and worthwhile way. It is so great that you can do this with your family and friends. Enjoy your day! Oh My is it mothers day already ? !! I'm sure at the end of the end, you will think about how great (and tired) and fulfilling it was to do that walk. Hope you have a great day! So glad to be the first to step over your 100 follower marker!!! Please come join us at voiceBoks.com and gain more followers. You'll meet a group of really lovely women who are not only friendly, but really love to connect! Thanks Lexie, Vanessa and Mallwalker. Vanessa it is Mothers Day in Australia, not sure which day it is held in other countries. Mallwalker it is a wonderful way to celebrate, I love it. Following you from A Time Out For Mommy www.atimeoutformommy.com! Please come by and check me out! Glad you got to over 100 followers!